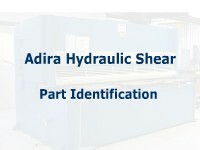 In this interactive object, learners set up a shear, enter the back gauge dimension, and prepare to shear metal in a simulation of the Adira Hydraulic Shear. 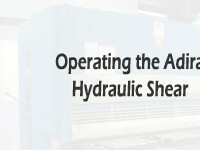 The student is shown and then identifies the parts of a hydraulic shear. 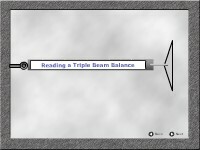 This animated lesson shows the operation and characteristics of thru-beam optical sensors. In this animated and interactive object, learners follow three steps to calibrate an opposed optical sensor. They consider horizontal alignment, the sensitivity setting, and having an effective beam.